I haven’t watched much anime in my time. Frankly I haven’t gotten a lot out of the shows I’ve seen, many of which seem to consist of posing in the midst of fights and shouting at opponents. But I chanced upon something a few weeks back that began with potential and then delivered on it episode after episode. I found fabulous world building and strong character arcs. I watched half hour after half hour the way I devour chapter after chapter in a great fantasy novel, poised on the edge of my seat wondering how things would resolve. The show that so enthralled me is Fullmetal Alchemist: Brotherhood. The series is set in an alternate world in the 1900s, one very similar to our own, except that alchemy works. Those talented and diligent enough can transform matter from one state to another — fix a broken radio into one that works, or transform a metal bar into a sword. The story’s protagonists are a pair of young brothers of tremendous talent who used their powers to commit the ultimate alchemical taboo: they tried to bring their dead mother back to life. They paid a terrible price when the transmutation went horribly wrong, and spend much of the series trying to put things right. As the young men search for solutions, they uncover hidden layers to the way alchemy, their country, and their world, truly work. As the mysteries deepen, so do the characters and the world. I really don’t want to say much more for fear of ruining the many unfolding surprises. If, like me, you’re unused to anime, there are a few caveats. There are occasional odd tonal shifts. For instance, when characters feel a really strong emotion (like anger or sadness) they’re often briefly transformed into caricatures of themselves, with exaggerated features. Some of the humor doesn’t translate and comes off as a bit goofy, and characters do sometimes speak over dramatically or are too revealing of their motivations when they talk. I wasn’t sure what to make of it after the first one or two shows, but kept watching… and I was glad I did. Most of the time it works, and overall it works brilliantly. Male and female characters are given strong roles, and face difficult choices. What starts out seeming like a lightly interesting and slightly goofy cartoon show quickly develops into something that explores some very deep themes: honor, responsibility, sacrifice, redemption, duty to one’s country, duty to humanity, the duty of a ruler to his people, loyalty, friendship, love, death. Alphonse and Edward face temptation many times, but after their initial mistake stick always to their principles, no matter how much tougher that makes things for them. And for all that there is cartoony martial arts violence there is also death, and the deaths on the show have real and lasting impact upon the characters. The story is greatly aided by strong, fluid visuals, including some incredible action sequences and magical displays, and it is brought to life by the American voice actors. All are at least passable (there’s no one wooden), and many of them are good to exceptional, particularly the leads. Vic Mignogna, who voices Edward, is phenomenal, and has been recognized as such by the American Anime Awards, who presented him with an award for Best Actor in a lead role for his work as Edward Elric. Fullmetal Alchemist: Brotherhood closely follows a famous — and bestselling — manga (a graphic novel series) written and drawn by Hiromu Arakawa. In 2003, after the first third of Arakawa’s manga was published, an earlier anime was begun, also titled Fullmetal Alchemist(without brotherhood). Lacking a completed story, the earlier show’s writers made up their own conclusion, one that left threads unresolved and wrapped up others in unsatisfying ways. (Honestly, that’s being charitable.) This version should not be confused with Brotherhood. One does not follow the other, although, if you find that you’ve loved Brotherhood, the first ten or twelve episodes of the original deal with parts of the opening story sequence in a little more detail (unfortunately, they don’t fit seamlessly together, as divergent plot threads occur pretty early on — so start with Brotherhood and come back if you want to see just a little bit more of the brothers in action). I watched the first three seasons courtesy of Netflix, found the fourth season on Hulu, and then, as the fifth season wasn’t yet on Hulu, took the extraordinary (for me) step of ordering the fifth and final season to watch from disc. I just couldn’t wait to see how the plot threads and character arcs all worked out. Believe me, it was worth it, and I can see myself watching the show again with my children when my daughter is just a little older. And that leads to a final, important point: there are some disturbing moments of violence and horror within the story, although they do not seem gratuitous. Those moments have lasting impact upon the characters who witness them. As I said, deaths in this show have repercussions. Children who are used only to seeing American action shows where bullets always miss and everyone is just fine in the end might be rudely shocked, and some of the images might grant nightmares. Younger children and even pre-teens probably wouldn’t be able to follow along with the complex themes and shifting loyalties, either. If you haven’t already tried it out, I hope you’ll give it a look, and I’ll look forward to hearing your thoughts. Be sure not to read series discussions online, as many of those who’ve written about it carelessly reveal plot points and character outcomes. It’s constructed well enough that you should try to experience it the way Ms. Arakawa intended. 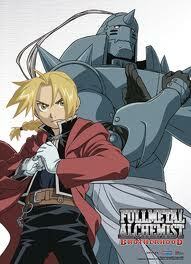 Fullmetal Alchemist: Brotherhood ranks as one of my favorite fantasies in any medium. Manga and anime have elements that are certainly an acquired taste. I never found the deformations of the character design funny but I’ve gotten use to them. Some anime don’t use them. Cowboy Bebop and Black Lagoon don’t really use them since they are aimed for adults. I’d recommend both of them though I’d keep the kids away from Black Lagoon. Bebop possibly inspired Joss Whedon’s Firefly, though frankly it’s better. I’d also suggest Attack On Titan. Set in a world, where humanity lives behind giant walls outside of which are man-eating giants. It’s very dark and bloody. Oddly, enough it’s considered children’s fare in Japan. I didn’t make it very far into Attack on Titan, but I remain curious about Cowboy Bebop. I was just remarking to my son yesterday that the next one I try will probably be THAT one. I’ve yet to find one that’s on the same level as FMA: B. Heck, at this point I’d be happy finding one that comes CLOSE to being as good. It really delivers. What do you like about Black Lagoon? I haven’t read anything about that one. Cowboy Bebop would probably be a good one to follow. It’s a Space Western with heavy crime elements. It’s probably my all time favorite show. 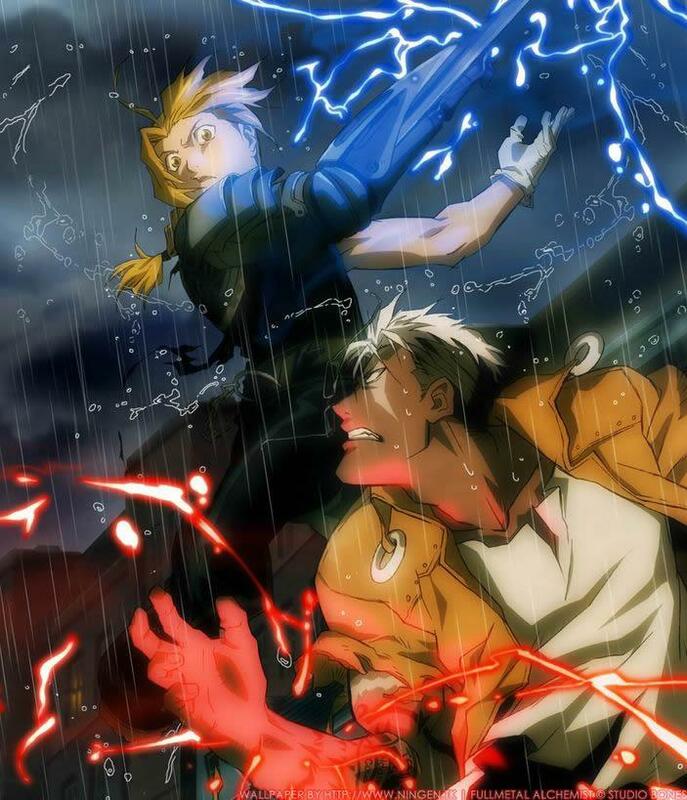 It’s a lot more episodic than FMA:B, but there is something of a continuing story. How come you did not through Attack On Titan? Was it too dark? If so Black Lagoon might be to dark for you too. It’s about an action/crime story about a Japanese salaryman who gets abducted and later joins a group of pirates/smugglers in the South Pacific. There’s no sci-fi/fantasy elements (unless you count over the top actions sequences.) The main characters are basically the bad guys from every action movie. Despite it’s darkness and over the top action, it has some very good character development. A lot of times I watch or listen to things and realize I’m not the intended audience, and I definitely felt that in this case. Thanks for the details on Black Lagoon. It sounds of interest to me, actually. But I might have a hard time convincing the wife to join me. I watch these in the evenings with the family so it’s a “committee vote.” We’ve all heard from various sources about the worth of Cowboy Bebop so it’s almost certain to be the next one. I’ve watched a LOT of anime over the years, and Fullmetal Alchemist: Brotherhood remains my favourite. But that also makes it difficult to give out any further recommendations; you’re starting with one of the best, regardless of genre or medium, most others I can think of are either flawed, more generic, or less polished in some way (just in ways that I’m willing to put up with or don’t care about), so from that point it just comes down to personal taste. Re:Zero – Starting Life in Another World: The newest anime in this list, in the genre of ‘main character stuck in a fantasy world’. Said character finds out that he comes back to life when killed (groundhog day, or video game checkpoint style). Why I like it: largely the focus on the internal struggles involved and the continuing impact they have on the main character. Death loses little of its power, it’s still traumatic. Any relationships he has are reset each time, so even among friendly faces he’s in many ways alone and on his own. Those he knows well don’t know him or what he’s done for them, he can’t even share of his experiences due to other limitations imposed on him, and he has to fight each time to restore some of the connection he has with those he cares about. Log Horizon: same genre, but totally different. Players of an online MMO find themselves stuck as their characters. Why I like it: in part as a contrast to others in the genre, while there are some elements of power fantasy involved for the most part they’re on the periphery. Instead other elements are focused on: what do you do as a society in the face of this situation with an unknown cause or solution. Survival is a given, but is there more that should be fought for, both individually and collectively, in order to retain meaning in their lives? Gin no Saji (Silver Spoon): An easy recommendation as it’s from the same author as Fullmetal Alchemist, though it’s completely different. A student runs away from his homelife/academic pressures to study at a farming school. On the movie side of things I quite like Vampire Hunter D. And I think there’s a global Studio Ghibli festival, if so it’d be worth catching some of their movies on the big screen at the end of this month. I had a few others in mind, but don’t think I can actually recommend: Death Note is good for only the first 2 thirds, Code Geass might work better for a teenage aged audience, Is It Wrong to Try to Pick Up Girls in a Dungeon has an incredibly dodgy (and inaccurate) name, but is otherwise a solid, if predictable, action fantasy, Rurouni Kenshin and Full Metal Panic both have good second seasons but average at best first seasons. Bebop is probably worth checking out, it’s well liked for good reasons, but didn’t stick with me. I’m probably in the minority on this one though, for no good reason. However with Titan I’d say no need to push yourself to watch it. Enjoyable enough, but didn’t quite work for me; for my tastes not enough to engage with long term. There are some strong reasons to include it as a general recommendation, but I’d say it’s only good not special. Khazidhea, thanks for the lengthy discussion. There’s certainly no need to apologize! 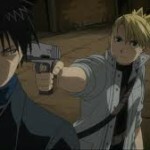 FMA:B is certainly impressive. I’m not surprised to hear that it’s one of the very best, maybe THE best. I guess I was fortunate I started there, but it’s sad to hear that it sounds like there’s nowhere to go but down. We watched all the way through Death Note even though we felt like it lost direction after the first third (it felt like they began to stretch it out) and nose-dived, as you said, two-thirds of the way in. So many other ways it could have gone, so many threads that were left unexplored… A frustration. Sometimes these things are more frustrating when you see the potential for better things that could have been done with them. All those you discuss in detail here sound of interest. Given how much we like FMA:B it does sound like Silver Spoon might be the place to start. I could probably get the rest of the family to try that one without much debate. And then we’d probably try Bebop simply because it’s been suggested by so many people. To reiterate: Watch Cowboy Bebop. Black Lagoon probably isn’t family viewing so your wife may not want to watch it. The infamous “Vampire Twins” arc is very horrifying. (Despite having no actual vampires.) It could be described as a slasher film written by Andrew Vachss. It is a good show, though. Don’t quite agree about AoT, but I do agree with your opinion about Death Note. As do most people who I’ve heard talk about. The manga version of Rurouni Kenshin was better than the anime IMO. If you do like it you might want to try Intrigue in the Bakumatsu which is basically Kenshin if written by say Tim Powers. I’m not sure where you can find it. It was on hulu for about two years and disappear. I also may be the only person who watch it. Though they are American, so not technically anime, you may want to check out Avatar: The Last Airbender and it’s sequel Legend of Korra. It’s kind of a compliment to FMA:B being an American series which is set in an Asian based fantasy world. Hey Matthew — I don’t know why I always leave Avatar out of these discussions. We’re big fans of the Avatar cartoons here and own the first series on DVD. I don’t know that we ever saw the end of the second series. It seemed like Nick was constantly shifting the time and day it aired the series. Quality wise it’s about the only one I’ve seen that comes close to Full Metal Alchemist. As it’s intended for a slightly younger audience, perhaps I should say that by that standard it rises to the same level. It’s very well done. The end of Legend of Korra was actually only broadcast online at the Nick site. The last two seasons are still up I believe. I would also throw a suggestion in for Seirei no Moribito. It’s not really an action series, but the fight scenes that are there are among my favorite and are done without any outright magic. It could probably be best described as a very character heavy supernatural mystery story. It’s the same studio that made Ghost in the Shell and it’s of comperable high quality and equally rich in atmosphere.